PT Angkasa Pura Support - PT APS or referred to as "Angkasa Pura Support" is a reputable airport supporting services company in Indonesia. Angkasa Pura Support operates primarily as a supporting company for aviation industry. PT Angkasa Pura Support is one among five subsidiaries of state-owned airport operator PT Angkasa Pura I (Persero) or Angkasapura Airports Group. PT Angkasa Pura Support was formed to supports Angkasapura Airports Group in order to provide the best services to the passengers or visitors of airports which manage by Angkasapura Airports Group. Its business include services, land transportation, trade goods, construction, workshop, and printing. Angkasa Pura Support is based in Jakarta and its head office is registered at Gedung Center for Excellence, Jl Tabing No 16, Kemayoran Jakarta 10610. 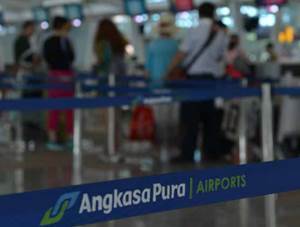 In term of financial performance, Angkasa Pura Support posted positive financial performance in 2014. Angkasa Pura Support reported total income of Rp 381.80 billion in 2014, according to PT Angkasa Pura I (Persero) Annual Report 2014 as cited by JobsCDC.com. This total income reflected an 148.78% increase from Rp 153.47 billion in 2013. Total comprehensive income significantly rise 217.28% worth as Rp 26.44 billion, better than 2013 period (Rp 8.33 billion). Minimum Bachelor (S1) holder in any major preferably from reputable university. Minimum 2 years of experience in the field of logistic and supply chain management. Previous experience in using SAP – MM (Material Management) module or other logistic software), comprehend procurement process and export import process. Hard working, persistence, detail oriented, and driving for result. Minimum Bachelor (S1) holder in Economics, Accounting, Management, preferably from reputable University. Highly organized, good interpersonal and analytical skills. Able to work under pressure and work within tight deadlines. Minimum age of 18 years old with the maximum age of 25 years old. Possess license in Basic Avsec, preferably with Junior Avsec license; if it does not have a license or certificate; willing to pay for basic training. Physically healthy and not color blind authorized by the Medical Certificate. Drug-Free Certificate authorized by the Medical Institution (SKBN). Willing to be located in any PT Angkasa Pura Support project area. Minimum age of 30years old with the maximum age of 40 years old. Minimum Diploma (D3) holder in Management, Economics, Engineering. Minimum 2 years of experience as Parking Supervisor/Coordinator (Car Park/ Operation Controller). Strong understanding about the implementation of ISO 9000 (Preferable). Willing to be located in any Angkasa Pura Supports project area. JobsCDC.com now available on android device. Download now on Google Play here. Please be aware of recruitment fraud. The entire stage of this selection process is free of charge. PT Angkasa Pura Support - SMA, SMK, D3, S1 Staff, SPV Angkasapura Airports Group March 2017 will never ask for fees or upfront payments for any purposes during the recruitment process such as transportation and accommodation.